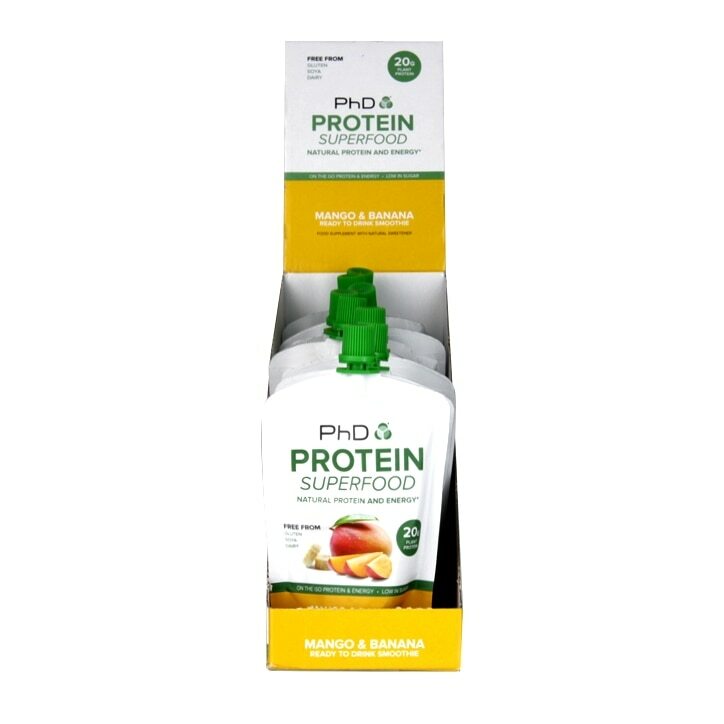 PhD Protein Superfood Smoothie Mango & Banana is rated 3.7 out of 5 by 7. Rated 1 out of 5 by alimck from yuk! tried this today after 2 seriously hard sessions at the gym, was ravenous. was disappointed tastes DISGUSTING, couldn't even force it down! went in the bin!! ugh!! Rated 5 out of 5 by rich907 from Amazing! Love this product, it's so creamy. I usually by pea protein and make shakes with it but they are nothing like these. Rated 4 out of 5 by Nazyr from Great protein content More like a puree than a smoothie. Really thick texture! Tasts good.